A web of country roads casts a romantic net between the alpha world cities of Paris and Frankfurt. Where maps pare down to two-lane roads, the Moselle Valley unfurls vast expanses of lush green carpet, sun-spotted by a yellow haze of wildflowers, lidded by a cobalt-blue sky. Lucky steers and heifers bask against the Windows XP backdrop. They might wonder what the rush of Mercedes sedans all means, if the local cud wasn’t so obviously tasty. 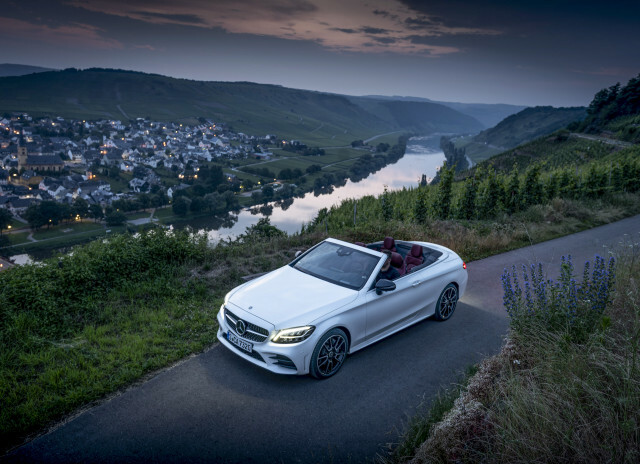 We snake through in a bullwhip of C300 and AMG C43 sedans, coupes and cabriolets, through towns where hopping preserves the last bits of local culture. Where the streets are lined with chairs, each festooned with signs and streamers for some unknown uphill contest. We course through the heart of Benelux, that fantastic Sixties coinage, on a fantastic voyage, and rest in Guerstling, where a Datsun 310 rally cars sits parked, unfathomably well-preserved, across from a centuries-old church. When we stop, it’s clear. The C300 and AMG C43 have hardly changed. There’s new plumbing and wiring—half the car is new, Mercedes says—but the canny gun-and-grip attitude of the latest C-Class remain intact. Back at spring’s Geneva Motor Show, Mercedes unwrapped this mid-cycle refresh of the C-Class. From the outside it’s a simple touch-up. The ends have been reworked, the grille’s been textured with a diamond weave and a twin-bladed bar. LED taillights match up with standard LED headlights and available multi-beam units. Inside it’s just as placid. 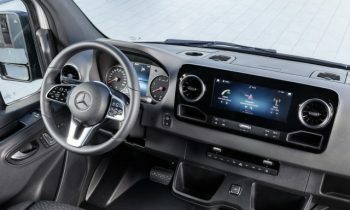 A new steering wheel bears the E-Class’ touchpads, cat-paw surfaces that toggle infotainment screens with performance gauges on the C-Class’ newly available 12.3-inch digital gauge cluster. The center display screen scales up to 10.3 inches on most models, though it still doesn’t take fingertip inputs. A mocha open-pore wood joins the trim squad, along with coffee-colored leather. Breathless change is absent from the C-Class, and that includes two of its revamped powertrains. Base cars swap an older turbo-4 for a new 2.0-liter unit from Mercedes’ new inline engine family. 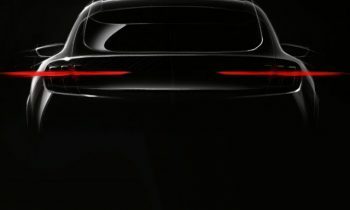 Conservation’s the focus of the new engine, its flared piston chambers, its electrified water pump, and its lower pumping losses. Power rises from 241 to 255 horsepower, while torque spun from its twin-scroll turbo arrives a little earlier but clocks the same 273 pound-feet as before, through the same 9-speed automatic, and the same rear- or all-wheel-drive lines. 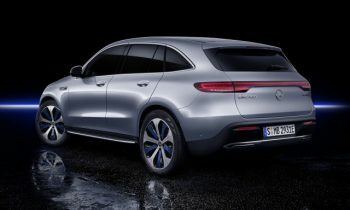 It’s maybe more pronounced in its power delivery, and in its cabin noise, but not remarkably so: Benz still quotes 0-60 mph times in the 6.0-second range, regardless of driven wheels or body style, and a top speed of 130 mph. There’s barely a noticeable lift from more powerful twin-turbo V-6 in the AMG C43, either. the 3.0-liter V-6 spins out 385 hp, up 23 hp, while torque stays steady at 384 lb-ft. With a 9-speed automatic and all-wheel drive with a fixed torque split of 33:67, it rushes to 60 mph in about 4.5 seconds, to a top speed of 130 mph. (The big top end and sub-4-second runs are spared for the C63, which gets revamped a little later in the model year). Ride and handling? Well enough’s left alone. The latest C-Class shines on the kind of roads that would have left it lagging behind older generations of 3-Series and A4. Now the C300 can hang with the sport-sedan editions of its cross-country rivals. The credit goes mostly to the C300’s pay-extra air springs and adaptive dampers. We’ve only briefly driven cars with the base steel setup, but we’d gladly pay for the upgraded suspension. It turns what’s a firm-riding sporty car into an all-around performer, equally able to deliver a supple ride and spot-on cornering.